"This is only the beginning. From the online devotional at www.d365.org , the week of November 26 - December 2, 2018. Comments like those stop me in my tracks, because if they feel like they are learning these things it means on any given day our youth don’t feel like they are worth something…they don’t love themselves…they don’t feel like God is always with them. And that is why we hold events like the Middle School Gathering. I know without a doubt that the youth who wrote those comments hear the message of God’s love for them in their congregations. But there is power in gathering with others to hear God’s love spoken in different ways. One of the greatest gifts of the Middle School Gathering is it allows adult leaders to be on the faith journey with their young people, rather than leading from up front. So when speakers like Dave Scherer, Bishop Tom or the LYO Board leaders say something from up front…adult leaders can ask youth, “What did you think about that?” It’s probably the same thing you have said in confirmation class or youth group…but coming from a different voice, allowing youth to hear and process the message of God’s love for them in new ways. 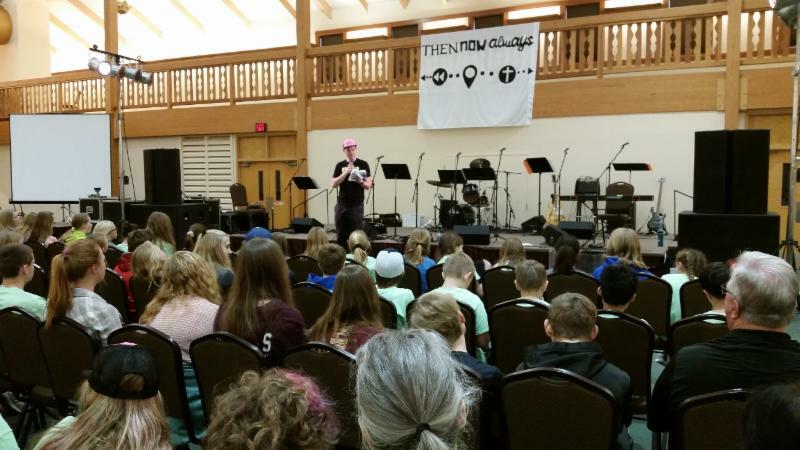 This year we had nearly 850 middle school youth and adults gathered over the two identical events held the weekend before Thanksgiving. Dave Scherer was outstanding (and not just because he doesn’t drone on and on! 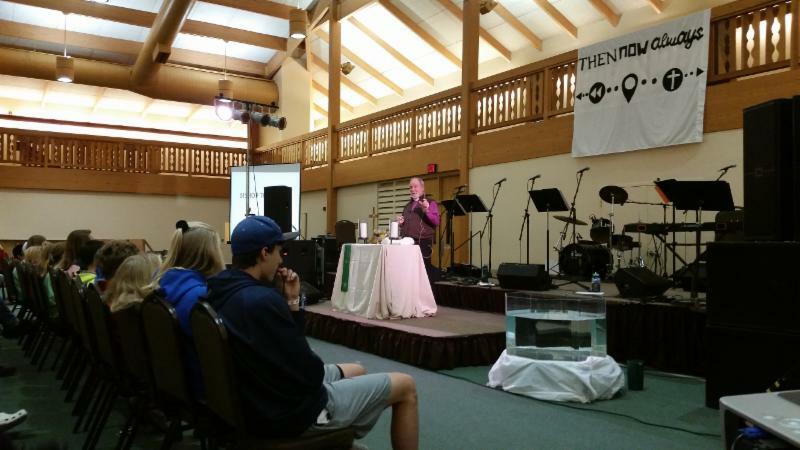 ), Bishop Tom helped youth deepen their understanding of the sacraments, and the LYO Board leaders planned and led a rich and meaningful faith experience for our synod youth. When youth (and adults) are plucked out of their routines and placed in an intentional relational environment of welcome, faith formation and holy play it sets the table for the Holy Spirit to spark faith in new ways. It is no wonder then that our youth heard and experienced that God is always with them, they are loved, and they are worth something because they are named, claimed and sent in the name of Christ Then. Now. Always. Start inviting youth now to be part of this transforming weekend of faith, friends and fun! More information and registration worksheets at www.nemnsynod.org/CD . 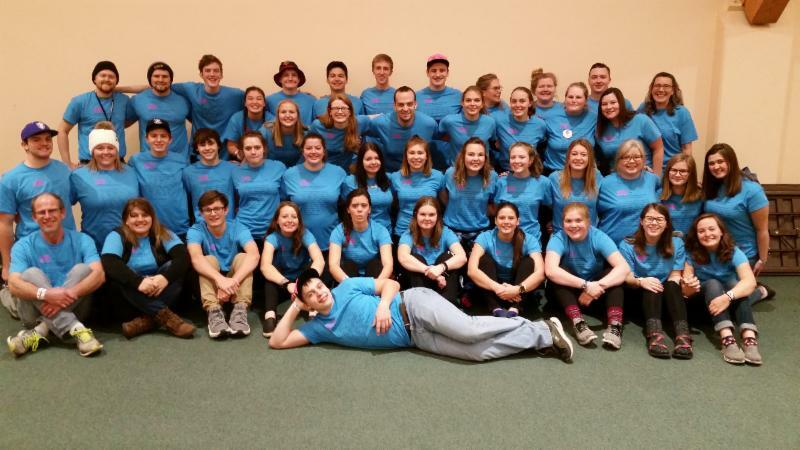 Do you have high school youth in grades 9-11 who are leaders in your congregation and ready for a deeper leadership commitment serving the synod? 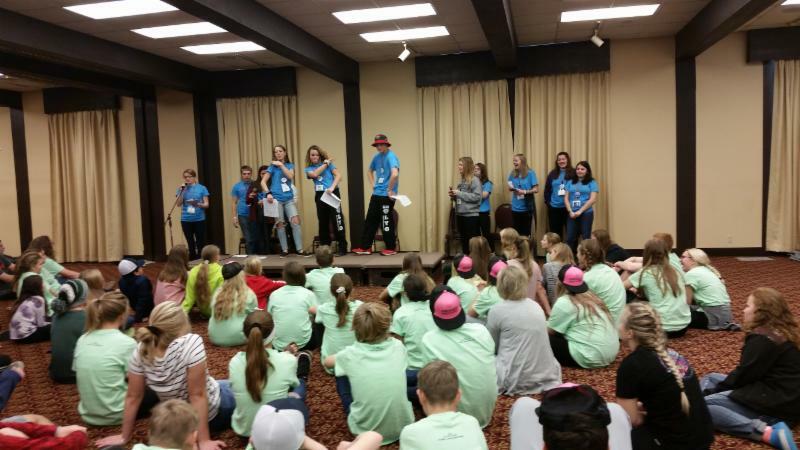 Encourage them to apply for the LYO Board! Application deadline is February 15, 2019. 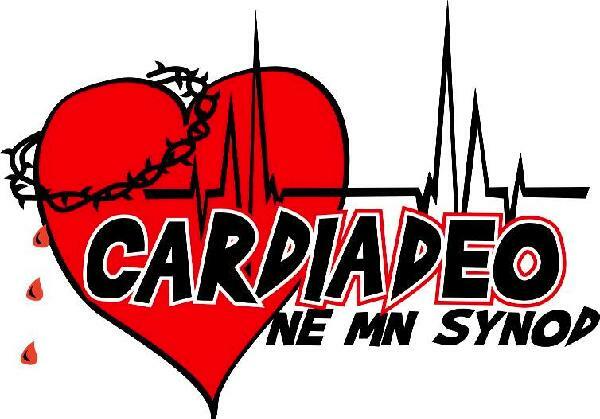 More information, meeting dates and applications are available at www.nemnsynod.org/LYO . Guest speaker Rev. Dr. Hollie Holt-Woehl, Adjunct Professor at Luther Seminary, will share the power of naming issues of mental health in our midst, without the stigma of labels. This event is open to everyone! Join the conversation on how we as communities of faith can walk with people living with mental illness. There is no cost for this event, but we do ask you register by January 15 to help with planning. Standard Registration Rates End December 15! Join hundreds of adults who volunteer and work in children’s, youth and family ministry for a conference filled with inspiring speakers, practical workshops and networking with the best and brightest leaders from across the ELCA! Don't have time or money to get to the Extravaganza? Get equipped and inspired for ministry with this one-day multi-denominational children's, youth and family ministry conference! Keynote speakers and practical workshops will be that mid-year Recharge for your ministry as a volunteer or staff working with young people!